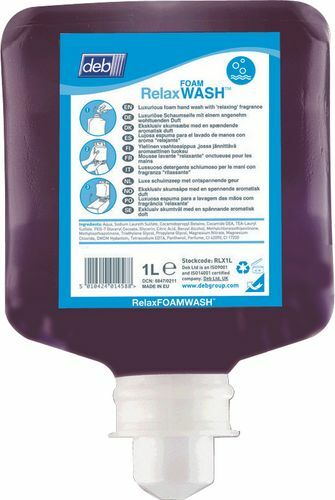 This relax wash foam soap cartridge is designed to fit into the DEB Proline dispenser system. The DEB range of foam soaps are designed to give the user a unique hand washing experience. This relax soap cartridge can be used in hospitality establishments, spa's and health centres or anywhere where people want to feel relaxed. Each Relax cartridge contains 1ltr of foaming soap and is boxed as 6 x 1ltr tubs.